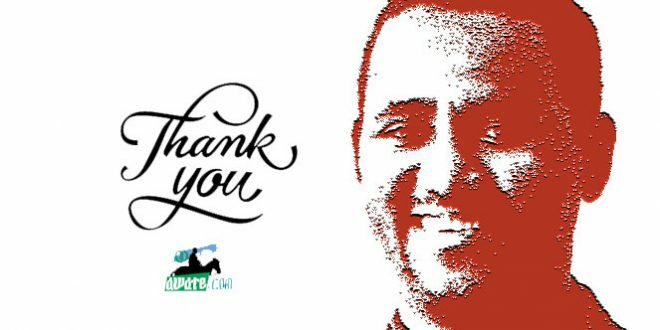 [The following archived article is being republished for the fourth time] Seven months after this controversial article was published, Idris Aba Are, a severely handicapped veteran EPLF fighter, was arrested. The article deals with the author’s observations of the government’s policy regarding “education in mother tongue.” At the time of his arrest, he was a director within the Ministry of Labor. 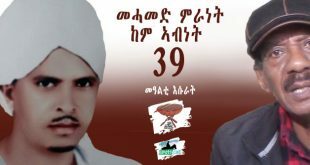 Regardless of what you believe about “education in mother tongue”, it is important to note that, like all the political prisoners of Eritrea, Idris Aba Arre hasn’t been charged with anything and is being held (16 months now) incommunicato. The following is an English translation of the article, originally published in Arabic by Eritrea Alhaditha on February 10, 2001 and in English by Awate.com on 3/28/2001. 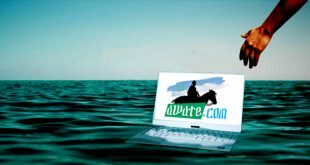 – Awate.com. Several months ago, for the first time, the media raised the issue of education in “mother tongue”, and the public rejection that faces it pointing to the importance of reconsidering the “the policies of education” which originally is the decision of the Ministry of Education, a decision it took without consulting the parties that have the right to look into such major national issues. The public rejection was not new. The strange thing about the matter is that every time the discontent and contempt surfaces, the stubbornness of the ministry increases. The ministry, it seems, replied to the articles that appeared on the newspapers regarding the issue by holding seminars and workshops here and there, and issued directives to stop the registration in some schools that taught in Arabic. At the same time, it stopped [teaching] the Arabic subject in some regions, a matter that increased the discontent and anxiety. No one knows what the ministry is planning to do [next], though the matter is certainly disturbing. Without delving into whether the ministry has the mandate to decide or not on this matter, the missing link here is, if the benefit that the society would gain from education in mother-tongue deserve this confrontation with the society, or is it that the ministry believes the rejection was not there, but [is] only in the minds of some ignorant [persons] who do not know their society? Or, it is ignorant about the existence of views opposing the philosophies of its experts. At any rate, the problem needs to be attended to because the issue is considered [one of the] basic national issues. Once, I coincidently met with a senior official from the Ministry of education. And in a brief discussion I noticed his vague understanding of the issue while at the same time he accused me of not looking into the mater in depth. That fact convinced me more that the relation of the experts of the education with theories is stronger than their understanding of the cultural and historical realities that lurks behind the popular rejection. What prompted me to write this [article] was a statement by an official from the Ministry of Education. It was extensively covered by the local mass media last month. The statement, that technically came without an occasion, reiterated that three-fourth of the mother tongue project has been accomplished. And the Ministry [of Education] continuously claims huge popular acceptance for the mother tongue without refraining from mentioning some hurdles that are meticulously cleared due to popular support as a result of the eagerness by all groups to educate their children in the mother tongue. Personally, this doesn’t shock or surprise me. I also think many would not be surprised even if the ministry announced that educating in mother language have covered one-hundred percent of Eritrea, [simply] because the case here doesn’t require more than taking a decision to stop Arabic schools and replacing it with the [schooling in] mother tongue. Such a decision, if not taken by the ministry in a specific day for all schools, and throughout the country, based on a circular of few lines, it can be taken by the person in-charge of education in a region. Or, by a school administrator provided he is brave and greatly immunized from thinking about the consequences. I don’t believe that the ministry lack such daring persons. The problems of “public acceptance” and the importance of guardianship because the people are “ignorant of their interests” are the core problems in this case. Before delving into the case of whether the mother tongue policy is popularly accepted, as the Ministry of Education says, or is paternally imposed as I claim, it is very important to pose two basic questions, that were triggered by the statement and which I think are important, and they are: Is the issue of education a national issue that should be taken care of by the state, the people and the whole society or is it a strictly professional issue defined through showy tests and laboratory experiments of experts? And isn’t the medium of teaching, – which is part of the educational problem as a whole in societies that have language problems in particular – defined by the social reality and national facts, even if the cultural body is immune against such innovations??? The problem doesn’t cause argument as much as it invokes fear. Fear for the future of the child. Fear for what might transpire in political, social, educational, and on development as a consequence of the stubbornness of the Ministry of Education and its paternalistic determination to impose the Mother tongue. And importantly, the extent of the naivety of the idea of reviving the mother tongue, and distancing the resources of the educated children of these groups without putting any reference and educational bases and foundations, or, without [putting] any effort towards this project. In a previous article that I wrote on this subject, I pointed out to the importance of resolving such issues through the legislative institution and other institutions that we have, just like the way such cases [are handled] in any other country of the world. This is because the issue of education is so big to be decided upon by the Ministry of Education or its experts, whatever their education and knowledge. Importantly, the case is not a professional or a technical case that is attended to by experts and on which the Minister takes the final decision; it is a case of drawing national policies that should only be attended to by the legislative body. Here, I don’t want to continue more or sound [as if] lecturing on institutionalism because that is [stating the] obvious and is not the subject of this article. There are more important issues than the issues of legal and institutional means regarding this specific issue. First: There is a clear and wide popular rejection for the mother tongue by the majority of the Eritrean linguistic groups. I say linguistic groups because, according to my knowledge, scientifically, the term of nationality doesn’t apply to all the Eritrean linguistic groups since the geography, religion and various other knowledge about the self–racially, historically, and culturally–is considered a basic condition for a nationality, whether that is explained based on Marxism or according to the definitions of accepted political sciences. Refusal to send Children to school. Preferring to send them to Khalwa [traditional Qoranic School]. And the surprising thing is that the education officials of the six regions know these realities in figures– which I have so far refrained from presenting. Second: There is registered complaint from most linguistic groups…. in spite of the media hoopla and the countless number of workshops, including the condemnation of the Khwajas [Europeans] who unjustly neglected the African languages, and the preparation to struggle for the respect of languages and treating them equal to other [languages], not only in Eritrea, but in all of Africa. Tigrigna is the only influential language. It is taught as a language in all regions and to all nationalities while the languages of the rest of the groups are taught only in the countryside, and Tigrigna is transformed to the language-of-mothers of the sons of the other nationalities in the big cities, because, it is not uncertain that that the ministry of education will open schools [that teach] in “Saho” or “Tigre” or “Afar” or others, in Asmara, which is inhabited by all Eritrean nationalities… And if one day [the ministry] considered doing that, it will certainly need the support of “cultural cartographers” to draw borders for those groups along the neighbourhoods, streets and houses. Since it is a right, urbanites should not be exempt [from boundaries] when the countryside is not. The practical difficulties that the ministry will face are undoubted in that the Eritrean cities, unlike many other cities in the world, are not divided along ethnic and linguistic neighbourhoods. Some families would be exposed to meticulous interrogation by the scientists of the educational demography to classify them and determine their origins. It might also be embarrassing for some to decide which nationality to side with, especially those who belong to two or more nationalities and speak all languages equally. That is because, for more than a century, Eritreans were mixing naturally without any interference whatsoever. Although it might not be difficult for the experts of education to decide on the matter courageously with the usual simplicity, imagining the sufferings of those families stir worry and anxiety …something I rule out with optimism. The equality of languages and cultures in this country is difficult to comprehend. When the shouting-slogans that fill and deafen the country, especially during the many festivities (the religious and the worldly), the typists, scribers and translators never witnessed a flourishing business as the one they are enjoying since the Liberation. That is because public officials request translation of all document into Tigrigna… even in the regions that have eradicated illiteracy through the mother tongue, and where a university graduate from the Middle East becomes an illiterate in front of translators who mostly arrange alphabets with difficulty. Despite that, the mother tongue doesn’t stand-up in defense of this poor person [the graduate] who in the worst scenarios, would have been helped by his second-grade son. Thirdly: The mother-language is accused of widening the inequality of opportunities between the linguistic groups, rather, between Tigrigna and the other groups, on jobs and higher education. That is because the low number of high schools in the regions, and because the ministry prefers to send students who are qualified to enroll in universities, to the teachers training institute to teach in “the mother-language”. And the percentage of students from the nationalities that the ministry celebrates the development of their languages is a hard evidence [supporting] this accusation. It is a fact that accelerated the widening of the gap of inequality during the past years. The convention of the PFDJ that was adapted by the Third Congress in 1994, tied stability, economic and social development to narrowing and removing the gap of education and jobs between the different Eritrean groups. It is natural to ask: is it the mother tongue that gives the priority to produce teachers instead of enabling students from the less developed groups from being admitted to the university, and does this serve the political direction of the organization [PFDJ] or is it against it? The answer is in the question itself. These are some of the fingers of accusation pointed towards the ministry; naturally, they are not all. An observer to the matter increases conviction that those in charge of education deal with the issues of their people in the style of the nineteenth century ‘Khawajas’ [Europeans], since they test what they espouse of anthropological theories by carrying-out social experiments. It is sad to observe that the Italians who wrote about the cultural realities of this people where more understanding than our current educational experts. Needless to say, I don’t doubt that nationalist seriousness is behind their search for the new and the need for “renewing”. The problem is that cultural issues are not mechanical creativity and technological inventions that depend on laboratory experiment. The former is a humanistic interaction, which cannot be separated just because of good will, or a simple renewal-obsession or a euphoric need by the youth to change the cultural, historical and psychological realities of any people. This is what makes the Eritrean peasant, herdsman and fisherman reject the mother tongue as a learning tool in substitute of Arabic. [Because he is] more realistic than the educational scientists who went through enough universities and workshops and high-sounding seminars. The simple person is the only one who can express himself with honesty. It is a state of conflict between the forces of reality that expresses itself culturally, religiously and the stored history and between the ideas of change that is nourished with knowledge from all continents… is there a fault in the awareness of history or total ignorance about the cultural reality? I do not think so. But, the differences of cultural environments have created a double standard [in the judgments] for our elite when looking at the issue at hand: a natural development for a society with diverse cultures. In relation to this matter, I remember when the first language conference was held in the field on the issue of replacing the “Geez” alphabets by Latin alphabets. The [Geez] alphabets were considered not able to cope with the technological development. Then, many were upset considering the idea a detachment from the cultural, religious and historical reality. 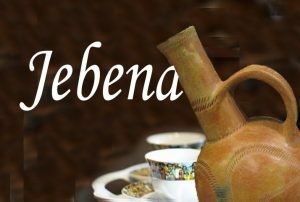 That was wise because Geez has a deeply rooted history in our country and is tied to the monasteries and the church and has become part of our culture and Eritrean history. Hence, it is not possible to uproot it just because of reasons that might seem practical. And pursuing this project was equal to a preparation for a confrontation with the society. Luckily, the project was dead on birth. And posterity will record that many of those who objected then were those who took enough from the Marxist ocean. I was supportive of this view even though I didn’t have the chance to participate in that conference. But an irony that always comes is the determined refusal to be detached from Geez [then] and the current determination to be detached from Arabic — a matter that confuses the standards. What needs to be pointed at is, why the paternal relation in a period of Globalization, Internet, global village and the intermingling of peoples in an unprecedented manner that humanity has never witnessed? In the field of science, or in the field of developments that are carried out by different government departments and non-governmental organizations, especially in the developed world, there is an independent field for the science of project management that is taught in universities and specialized institutes. It is called Logical Framework. It is a logical arrangement of the goals and means [of achieving them] in a reasonable way that the human brain can digest without the psychological discomfort or indigestion due to difficulty. The framework shows that mixing the ends and the means leads to confusion and makes one who is in charge of the project as if he is wearing his pants inside-out, especially when the end is put in place of the means and vice-versa. Note that this applies to the language policies of the Ministry of Education, because sometimes one doesn’t know whether the idea of schooling is language or education. And what if the paternalistic imposition of the mother tongue, that some push, becomes a cause for detesting education, and abandoning schools? Is it putting the cornerstone of education or destroying it, even if this was unintentional, though we assume it is? And is the aim of education the building of a society or directing a culture? And is the idea behind holding workshops for publicity or for enriching the ideas laid down by the beneficiaries? Are all of these means, or means of achieving a goal? Questions that beg for answers. Nevertheless, the issue is not new, and will keep reappearing until a logical arrangement of goals and their means of achieving them are set in place. Also, until the aim of education is specified in a programmed and clearly scientific way with the participation of all who can contribute to it and have an interest in the matter from inside Eritrea and the Diaspora, it should be done in a manner different from the preparation of the best papers that are in the libraries. Such work will be added to the efforts of educational scientists, and will not lower their status. Drawing educational policies, as mentioned, should be looked at only by the legislative body. Until that happens, the Eritrean father, whom God alone has given one of the languages of his creations, will remain worried about his sons and daughters. As for the mother, who carried the honor of the name [mother-tongue] might be fooled momentarily until she wakes up in horror when her son flees away across the border in search of the Father’s tongue, and when the father brings unacceptable reasons to refrain from sending his daughters to school. He will not allow her to go [across the border] and look for a language like her brother. Then, [the mother] will feel the dwindling of the already limited authority of the mother, which originally is supported by flashy names and slogans. Man is naturally logical. And that is what makes him overdo speculations when he sees an incident that is not controlled by the framework of cause. I have mentioned that in an embarrassing situation when I had a heated debate with a mixed group of the well and the not-so-well educated. They had identical stands and identical arguments in attacking the mother tongue and they brought up similar evidences from different regions that prove the rejection of the mother tongue. I purposely challenged them by playing devil’s advocate and defending the policies of the Ministry of Education. Certainly, they cornered me and convinced me; but I don’t know why I did that and continued with my stubbornness without resorting to logic. Suddenly I found myself being convinced of what I was saying. But at the same time, I was looking for a straw to hang on to. I found my support in speculations in analyzing the aim of forcing the people to use the mother tongue as a backing, which they repeatedly presented as accepted fact. That provoked me to the extent that I was pushed to challenge them strongly to the extent that I imagined I was totally convinced with what I was saying. But, I felt that they were right; and I was convinced and submitted to their logic for an important reason: not only do the education officials deal with others as if their [the officials] views are accepted facts that are note subject to criticism or rejection specially when dealing in matters of the “mother-tongue”, but also use ‘obligatory’ in the right sense of the word as is evident from “the obligatory education in the mother tongue”. The only thing that they repeat when they face “Bores” like me is that “it is the policy of the State”. I claim that the state is innocent of this policy, but the problem of guessing has got into me and I got an idea: maybe the Ministry of Education doesn’t know the extent of the public discontent regarding the mother tongue. Specially considering the fact that the Curriculum Department, which is entrusted with the task of taming the mother tongues of all linguistic groups, might not have educational experts who are conversant in all the languages of “nationalities”. In addition to that, the workload of the ministry in dealing with files, and the many scholarships from the Arab countries which, according to word on the street, has stopped – even though in this regard, it doesn’t concern us – and that the guardians [parents] didn’t present the case to the officials in serious manner, or what has happened to the head of education in a region upon interpreting [a conversation] between him and the guardians… and…and…and, etc. Because of this, the curriculum experts have the right to fully occupy themselves in marketing the successful experiments that they receive through reports. The yardstick for measuring success is not difficult because it is measured by the number of mother tongue schools that were opened, or the number of Arabic schools that were stopped or by the number of Arabic [language] teachers who were laid-off from their work in the Southern Region… and honestly, this case doesn’t require more than a courageous Administrator in whose presence all the creatures whatever their size, height and posture would be dwarfed. If we left the science of education and the mother tongue aside and referred to the science of projects, there comes a question: how are educational policies and workshops set up? Is it a product of the participation in the studies by all the stakeholders and the concerned, or is it prepared by geniuses who resort to the best books that the pens of the writers of whole world has produced? This is a basic as well as a technical case. I say this to attract the attention of the honorable experts, that the workshops, and the educational policies become beneficial and positive only when it has an input from both the producers and the consumers. I say this because I feel, that our brothers consider the concerned – the Eritrean people – ignorant who do not know [where] their interest [lies]. Patience, don’t be surprised. In an article entitled “Teaching mother language, a wise choice which was not adapted by the people”, — I hope I have translated it right – which appeared in Tsegenai, the writer, who is one of the teachers of these languages, concludes that the Eritrean people are ignorant and don’t know their interest. Therefore, the ministry took [the people] by the hands and led them to a better way (No comment on that). Yes, the use of logical framework as a means of verifying is an important matter. But the road towards drawing that framework is neither easy nor smooth. It passes through another field that is called the science of logical questioning… the Why-way. It is supposed to be, in this field, that after certain ideas are fermented in the minds of individuals or groups, it is presented to the producers, consumers and financers and anyone who has a close or a distant relation to the case. And the answer to the questions of “Why?” “How?” “What if?” “Did…?” would automatically determine the nature of the logical framework that would guarantee the success of the project, and its healthy development. Any project that doesn’t follow this method becomes so deformed that you cannot tell its head from its foot. Apologies for the repetitions of the accepted facts though I never worked as a teacher. Nevertheless, this might wet the appetite of those who believe workshops determine everything. All this and I have no doubt the brothers in the ministry “have done it again and again” as we say in the Quranic School…. Worse, it might entice them into holding a workshop for the “development and education” and on which, they might put education in mother-tongue — which doesn’t have [even] a geography textbook and nothing was translated to it from Tigrigna except up to grade three — as a pre-condition for development in our country. Despite all of that, one doesn’t wish them but to be convinced of [the need for] the role of the stakeholders because the philosophy of guardianship is different to the philosophy of participation… and what a wide gap between the two. If the educational experts would be convinced on using the logical framework as a means of investigating and drawing plans and advocate the return to the scientific investigation to be led by logical framework, I promise, from this position, to prepare a rich paper, be it in my mother’s language or my father’s language or any other neutral language that I master, since I am one of those who would be harmed from the drawing of the lingo-cultural boundaries. This is because my father and mother are from two different linguistic groups; I voluntarily chose to follow the language of my mother’s folks. My father, who didn’t think of consulting those who put boundaries to stop the intermarrying and intermingling between the cultures and languages, didn’t object. 1- Each nationality to hold a congress in which it decides in what language its children should be educated on condition that people are not excluded because of their views and provided that such a congress should not be a show of power by gathering supporters to adapt what the ministry wants as a result of academic reasons, as I have justifiably explained above. I repeat, the exclusion of the educated because of their views regarding the mother tongue is a very harmful to any development effort, be it in a national scale or in the scale of the groups. It will be harmful if they are excluded or distanced from contributing in this vital field. I say this knowing that in a country that has thousands who carry certificates of higher education in addition to specialist in the sciences of education, even if the majority resides outside the Eritrea, the language development unit in the department of curriculum doesn’t have a single person who is a college graduate. My proposal for such a congress emanates from my belief that the ministry believes and insists with urgency to educate the mother tongue on one side, and my understanding that language is a basic component of culture, and culture is the sole property of any people or group since it is tied to its identity and uniqueness on the other hand. Because of this, I don’t think it is right or wise to try to influence it politically and administratively. Human beings define culture with sensitivity. What I say is not philosophizing, but a logic that all social theories prescribe to, including the literature of UNESCO. 2- The ministry should call for a national congress on education where the language of education is one of the cases that will be discussed. 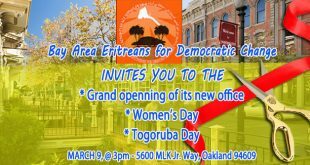 All the educated from all the groups should attend…and the congress should be attended by citizens inside and outside [Eritrea]. The congress should discuss all the problems of education, such as the problem of the education of girls, and education in the places remote from urban centers, and the problems of participation in higher education by all regions and linguistic groups. 3- An announcement by the ministry stating that it will abide by the resolution of the Second National Congress of the Eritrea Peoples’ Liberation Front [EPLF] that gave guardians the right to decide the language of education… this is in line with the convention of child right to which Eritrea is a signatory. But meanwhile, for the hammer to arrogantly increase its beating is something that will not contribute to anything but to the polishing of the anvil. Did you mean like Meles zenawi Dergi and short haile ? Because Eritrean fighters do made a state by their sheer love for their people life and I don’t see any problem even if they are compared to Jesus and Mohamed. What good is a good word of praising if we cannot give to Eritrea’s heroes. There must not be found any word that can’t praise our ELF and EPLF fighters. They are our founders and the only praise must go to them. This article proves my case that those who support Arabic in Eritrea have no rational way of defending it. I would have respected the author if he was honest. 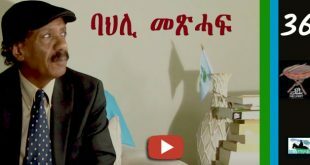 His real motive for rejecting education in mother tongue is because he wants Eritrean Muslims to learn Arabic in schools to create language solidarity among different Muslim majority ethnic groups to politically challenge Tigrinya people. That has been the goal since the British administered Eritrea in 1941. There is nothing Arabic can do that English couldn’t do better. The fact that Arabic supporters are not demanding English shows this is also partly being driven by religion. Moving forward, the national languages of Eritrea should be Tigrinya, Tigre and English. English should be given a preferential treatment since it’s the language of aviation, science, the internet and the world. Eritrean children. It is a matter of human rights. Titled Revolutionary Children of Eritrea. By a Group of German traveled in liberated area in 1978. The innocent kids to be raised up as young cadre and to belong to IA personal militia ,when they grow up their loyalty will be to IA only . this Red Flowers ,they are very easy target to exploit and miniplate and their cognitive systems are not at the same level as adults, and their executive function is not fully developed. IA used them as this he own fiefdom and used the innocent children for his own political advancement and agenda. Mindless obedience has long been a goal of IA appointed youth patriots, wrapping themselves in the national flag to defend indefensible. they have paid the price. Their lack of experience and pure ignorance of the situation were evident. They never attended any meaning full high school. The world they had emerged from at Front They were used in horrific and inhumane way. IA is the most manipulative and unethical politician and dictator, He is one of the shrewdest of Eritrean in a difficult and complicated country. this man has been in power for so many years and represented the highest degree of pragmatism and used all means in his power to protect his power and he is in total control of Eritrea and the sole representatives. Eritrean dreams are crushed during his reign. and responsible for everything that happened and went wrong in Eritrea. IA seat at the top of a pyramid where the sovereign alone has the final say. “Under IA s rule and will to power,”. power is everything for IA and more effective and more insidious the better, IA power is explicit, crude, and violent. What kind of background produces a character like IA ? How could IA distinguish between right and wrong in human actions without a commitment to moral value and the human lives? IA is the enemy of those striving for justice and is alien to his nature. Eritrean youth in thousands of who took up arms in the war for Eritrean independence. They lived most of their lives fighting. IA was putting the Eritrean youth militia forces, for his personal war that only aimed to terminate his personal enemies and for political assassination , they have proven to be ferocious killers and assassins. this continues for life for the crimes he committed during his rule in front times and after independence . They suffered a lot because of that. They see him as invincible, maybe even immortal. and why did they did not pay attention? And why did it all go wrong? IA had no civic regard and human dignity and disenfranchisement of Eritrean youth did matter to him. EPLF couldn’t grasp that what was being done right beneath their noses, in the supposed sanctity of home front and they choose not to look. that’s how blind they were, but don’t matter to them. Eritrean youth. They seek meaning full lives. they seek to matter, and they seek to do things they care about. (It has taken a toll on common morality. Admittedly they are terrified of him. They are angry with IA in wasting their lives. Their youth was not a happy one. It is against Eritrean’s all-important and unwritten cultural code . It is a matter of human rights. The Declaration of the Rights of the Child, which mandates the protection of children against all forms of exploitation, was endorsed by the United Nations in 1959 and adopted as an international convention in 1989. They been a part of both for their entire adult life serving IA . IA shaped their life and outlook, they being brainwashed by China and Soviet-led Communism ideology and showed them to interpret the world. They should having been raised to cultivate human mind to an eminence from which it could more clearly see the world as it really was. It takes them to places and introduces them to people they never imagined. When we have knowledge, we know how to defend our rights and values. When they understand that, they understand the world, and one another better. And to this day some they have not recovered from the devastation of the Thirty Years’ War of independence. In later life, I assume in these days, they are in anguish they suffered with no hope and skilled future and no motive for staying in this world of Eritrea they gave their lives for , though, in many important ways they are having harmful effects on our society at large . The latter part of the story, rather awkwardly, has to be told. how they share narratives and what they share, and it is worth observing. they are sharing their emotions associated with outrage and offence and experiences of pain and suffering. For those Eritrean feels like as growing up. There are moments in their life when they feel as though a part of them is missing. There are days when they feel so invisible that they can’t remember what happened to them, when they feel they have been marginalized, ignored, when they feel so manipulated and exploited and that they can’t remember their own family memory, when they feel so lost and angry that they can’t speak of their rights and a civil word to their own families who loved them dearly . Those are the times when they feel lost and times catch sight of their reflection on the dispossession and deep reflection and contemplating in the street and tea rooms of Asmara they are surprised to see who feel abused and damaged, the whole person looking back. The sad truth is that Eritrea tolerates a surprisingly IA past cruel rerecord. And so one must be concerned that there is a larger problem here than merely AI oppressive rule. It was wrong then when he lead EPLF, and it is just as wrong today as a president of Eritrea . many Eritrean in diaspora s , have been trying to pin themselves down in short history, place our self in the stream of time as significant as recently , evolved, present in the past, continuing into the future. To be without a country you belong is…too dangerously malleable in the hands of those PFDJ who would rewrite not merely the past but Eritrean future as well. So, we go, we have been picking through the ruins for our roots. For those l who are abroad, this means the continuation of being worried about our loved ones and the continuation of sleepless nights. EPLF cadre were doing what they believe their party interest demands. The abuse of power did not matter. The trouble is, they keep looking the other way. 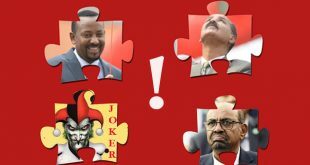 IA being Machiavellian in clearing his way to the presidency by the elimination of the potential opponents from top EPLF cadre and against the will of most of his party wishes. But some went along with IA elimination and denounced their colleagues as treacherous and traitorous. they are being killed for who they are, independent mind and courageous. the sell out and hypocrite for not sanding for their colleagues is shameful and opportunistic, they did not have a voice for accountability and justice for all. Maybe they were fearing for their own safety. 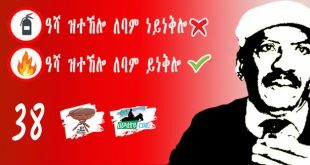 This was just a small taste of what is yet to come and will be destructive to the top EPLF leadership. IA denouncing G15 as traitors and none could save them, EPLF cadre should look at their own shameless behavior before and after 1991 independence/ IA has done a lot to shape the way Eritreans are for much worst ,he strangled Eritrea at birth, and country does not resembles the society at large , no vision of an inclusive Eritrea in which even those on the margins of society have a place .IA knows what he’s doing. IA shaping the country in his image, uglier and sicker possibly for a generation to come and will live on long after he’s gone, they represent the most tangible part of IA maintained repressive failed policies and that failed nation legacy is being taking shape . And failed to meet Eritrean minimal demands. failed to deliver public services and goods. A multiple policy failure and have yet to deliver jobs and greater economic opportunity. while further tightening political control and by totally ignoring any hope of parliamentary democracy. his great impact stems more from his failures than any successes to speak about. IA policy and ideas are completely incompatible with modern economy. there is no Eritrean economy or institutions policy making and proved to be bankrupt and empty. could not even articulate a coherent vision for Eritrea in the 21st century. In ignore Eritrean frustration and anger. will live for decades to come for this taking us back to medieval times of feudalist Ethiopia kingdom rule . Eritrean deepest fears have been realized. as a reflection of IA ’s leadership and lead by a foolish idealist Communist hardliner pedlar and a dictator virtual uncontested Ruler of Eritrea. One Should no more be shy of being blunt calling things by their name as we Eritrean are facing the worst existential challenge to our continuity and future. As IA decision maker and failed institutions thy are proving to be delinquent, abysmally derelict on delivering on their duties, it has fallen upon us as individuals, as average citizens to stand up , take our destinies into our hands, to face the challenges and pointedly call things by their names. It is our lives, the lives of our children and future of Eritrean generations that are at stake. No Eritrean decision maker no matter high up he or she is to remain beyond accountability and reprimand or remain untouchable beyond criticism and accountability as no ruler is more important than the life and the future of a nation. A New Role: Eritrean Individuals All Need to Enrollee, assume Activist Roles from their current respective positions as average citizens. One Should Never Belittle the Power of Social Media and the Cyberspace and the Internet in the dissemination and the sharing of information impacting our political lives and futures as Eritrean. Each and everyone of us in his/her respective position should become an active participant on the Social Media never shy of calling things by their name and ensure the wide circulation and sharing of important news of direct impact on Eritreans lives and future. You write “I have no doubt that when he penned that famous/infamous article (depending on how you see it), he thought he was helping his government”. That is what I believe. ንዝገበረካስ ግበረሉ ወይ ንገረሉ. “For those who favoured you either return the favour or tell others about it” goes the Tigrinya saying . When this article first appeared on Awate, I thought of interviewing Aba Are once I return to Eritrean for my field-work. It was in the summer of 2001, a politically toxic moment that I asked him for a favour which he readily accepted. The date was 3/09/2001, in that fateful month. It was with full human warmth that he welcomed me to his office and didn’t wait to order coffee and a bottle of ማይ ጋዝ for both of us before getting down to business. It was revealed to me that he had deep insight into the MT policy from which I drew a lot. Some of the things he told me, off the record, are still fresh in my mind. While a reference to this article appears as the first in order (Alphabetically, Aba Are, Idris) in my list of references, the interviews is well documented in a different page, both are duly acknowledged. Looking back, as you said I think he meant to help the government. From our meeting I could I understood him to be a very candid person. Now, the though of such severely handicapped veteran of the armed struggle be treated that way pains me. I recall a lecture/seminar on 125th with regards to Quanqa by …. perhaps prior to the field work. Many will be very grateful for this personal testimony about an honorable citizen who had to pay more than his share to serve the cause of his people in full or hampered health. May we all witness the shattering of the gates of the jail in which he is suffering – hoping he is still alive because no body can know since he has been incarcerated incomminicado. I think that is the least one should do. Let us hope that he is still alive! I have no doubt that when he penned that famous/infamous article (depending on how you see it), he thought he was helping his government. I believe so. ንዝገበረካስ ግበረሉ ወይ ንገረሉ. “For those who favoured you either return the favour or tell others about it” goes the Tigrinya saying . When I read this article on Awate when it first appeared, I thought of interviewing Aba Are once I return to Eritrean for my field-work. It was in the summer of 2001, a politically toxic moment that I asked him for a favour which he readily accepted. The date was 3/09/2001, in that fateful month. It was with full human warmth that he welcomed me to his office and didn’t wait to order coffee and a bottle of ማይ ጋዝ for both of us before getting down to business. It was revealed to me that he had deep insight into the MT policy from which I drew a lot. Some of the things he told me off the record are still fresh in my mind. While a reference to this article appears as the first (Alphabetically, Aba Are, Idris) in my list of references, the interviews is well documented in a different page, both are duly acknowledged. Looking back, as you said I think he meant to help the government. From our meeting I understood him to be a very candid person. Now, the though of such severely handicapped veteran be treated that way pains me. It was to long ago one hoped the revival of an Eritrean dynamism in the face of the onslaught of Ethiopian imperialist and colonialist designs is no more an affordable luxury that can be left to the speculation of intellectuals in the ivory towers of the cafes Tretoires of the Diaspora. 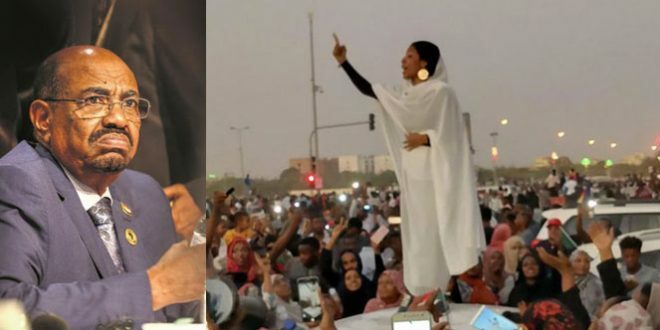 Besides, the demarcation lines between Eritrean forces singing the Communist Gospel, and Eritrean in the other scattered camps, so called progressive forces, is fast being drawn. 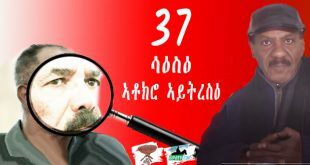 Eritrean progressive forces feel the urgent need to regain the momentum with the appeal of a redesigned progressive democratic ideology reinforced by a genuine legitimacy of true representation of the widest base of Eritrean popular adherence. The status quo of the Eritrean political system is not representative, neither inclusive of the broad-based constituencies in Eritrea. The enduring Eritrean political system is totally alien, dictatorial and oppressive, stagnant and is incapable of enlisting the creative energies of its populace. The current Eritrean political system is confined to the narrow priorities of sustaining the status quo with the security of the contemporary political PFDJ regime paramount in the national agenda to the tune of squandering scarce national resources to maintain it. 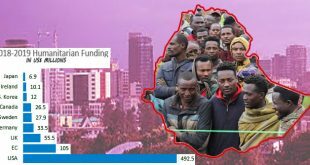 That’s an aberration and a travesty of the order of the logic of things as judged by the commensurate challenges to the future of the Eritrean and their precarious existence as a unique culture. 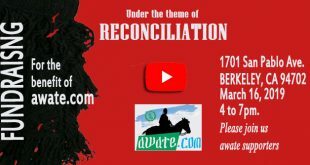 Eritrean revival, renaissance, in the midst of a scheming and conspiring wider national reality dictated by the alliance of the traditional counter forces of the old PFDJ minted Eritrean ve sovereign state. Just after independence, Ironically, IA notwithstanding the inherent shortcomings of a repressive regime and limitations on economic enterprise thus far, appears more amenable and attuned of all contemporary Eritrea head of state, especially given his experience in heading EPLF as communist front , to entertain and potentially sponsor such a program; and for Eritrean , one would hope a new page and historic hub of Africa and reginal nationalism, to transform, in the amorphous tradition of Eritrean political reality, to become its faithful incubator and be a modern state . 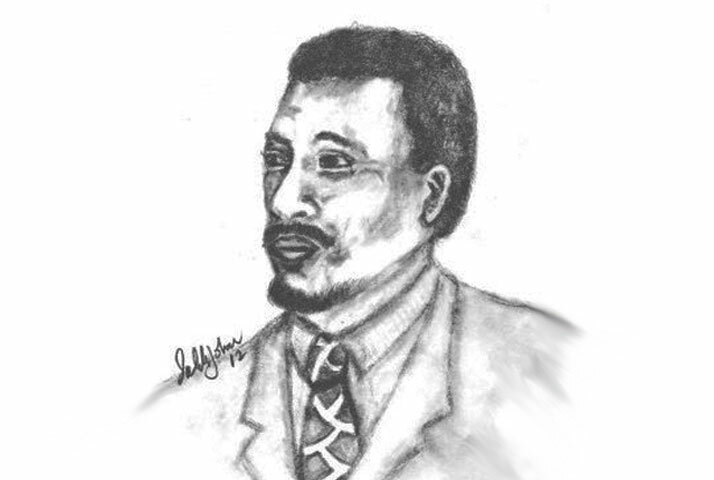 In the euphoria of utopian excesses, a scenario could be envisioned where IA could convene an open forum of a broad spectrum of Eritrean and reginal intellectuals and progressive political theorists to participate in marathon free brainstorming rounds to scrutinize the history, achievements, shortcomings and limitations of Eritrean and reginal progressive political movements, especially the path of those that had the privilege and opportunity to make good on their slogans by virtue of the opportunity of uninterrupted virtual state rule, , as a practical manifestation. Viewed from the wider optic of modern political theories and the apparatus requisites of a well functioning modern state, the ills and shortcomings of the EPLF communism experiment would be highlighted and objectively analysed. Simultaneously, Eritrean Nationalist Movement would receive their fair share of objective scrutiny. Consequently, a Manifesto, inclusive and outreaching, could develop as a rallying new ideology supplemented by a well thought through program and definitions of a responsive party structure that’s commensurate with the perceived ominous challenges to Eritrean Nationalism. A New Eritrean could spearhead reginal Renaissance with a well-developed progressive and more inclusive ideology that’s reflective of the spirit of modernity and resilience; an ideology and a program that are more encompassing, and that could appeal to the wider all Eritrean base of adherents who can readily identify with their newly born independent nation . A New Eritrean could extend the privilege of the setting of a sovereign state to act as a hub to lure the dispersed Eritrean intelligentsia in the Diaspora from all back ground to unleash their creative energies; mobilize their wider networks of international business and professional relations, and become the catalyst of a fructuous experiment that could replicate in other reginal settings as readily preceded by the indoctrination into the new political culture through the emulation of successfully proven organization models. With intellectual capital the governing economic multiplier to expanding the wealth of nation, and with sufficient breathing freedom afforded small to medium enterprises, these new comers could very well herald a scientific, technological and economic revival that further reinforces the aspired far reaching benefits of this ideology and implementing plan. Utopian euphoria, could very well be! However, exceptional circumstances require exceptional measures. The exception this time around in Eritrea short history is survival: To Be, Or Not to Be. To resign to stagnation and let the field wide open to so-called communist PFDJ regime to determine the future and destiny of the Eritrean nation, Or assume an enlightened proactive posture, an initiative that could salvage Eritrean destiny; however, if not, least leave a legacy that would inspire Eritrean generations to build upon, retry the attempt, one would have hoped EPLF/PFDJ and its leader IA could do on the force of a legacy of Nelson Mandela as wrote not too long ago , as the article reminisces of its intent and impact on a fledgling soul. I think you need a couple of lines intro of 2017 to the intro of 2001. So that this tragedy become evident for those unfamiliar with Idris Aba Arre’s case. Your following statement was correct then but today, 2017, it would read (16 years or more). The reader would figure it out, but it is just better to have things put right. Good correction. Should be 16 years. I suppose it is relative as in relativity theory. The first of the new year lower the stock or the standard by setting the buyers expectations next to nill and orchestrate a very strong finish in the last quarter. I would and shall expound on, with all due respect to Vet. Idriss Aba AAre, the naivete of his above article Seventeen Years ago. I shall differ to the elites and the upper echelon for perhaps another SEVENTEEN DAYS …. then the Point Blank & PB for Peanut Butter C.R.E.A.M crunch. Abbu AAshera Weapon X – Evolution. Ya Ikhuanna Rujal Idriisatt was Abuhum lil AAretat. Sei-Sete, Pillar, Ladies and Gentlemen; AS YOU WERE! Abbu AAshera Weapon X – Evolution!